This is suitable for medium sized groups. 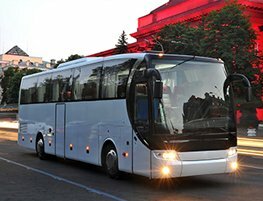 Our 49 seater coach is well equipped with air conditioning, comfortable seats, luggage space as well as entertainment all in a bid to leave your group entertained and comfortable on long trips. We also have coaches that can take as much as 72 people. We will successfully transport this large group to any occasion. At Ellesmereport minibus hire, our services are effective and very affordable. To get access to our services, use our online system and you’ll get a quote instantly.